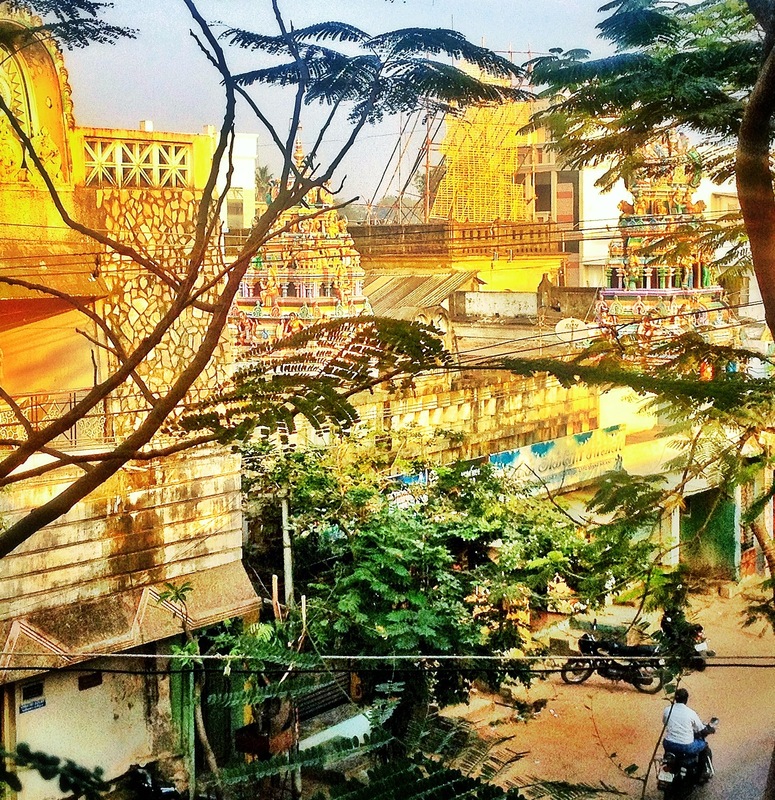 If only you could blog sounds… We awoke this morning at 5 am to blaring music from the temple across the street. This morning happened to be the yearly festival of that deity, Hanuman. At 6 am, we went to the deck of our hotel to practice our yoga and meditation as the music blared, scooters and trucks honked, cows mooed and birds squawked. And then, to top it off, drummers came out and played more fervently and furiously, as we finished our hour of work with sivassana. sounds lovely…i went on a yoga journey to s. india a few years ago and am looking forward to doing it again when the timing’s right. hopefully sooner than later! Hanuman is one of my favorite Hindu deities. Am loving your posts, keep them coming! Your posts are great, Cara. Your observation on city girls and noise resonates deeply: when I first moved to Bennington I had to have a soundtrack of NYC noise playing to fall asleep because I was so used to the sounds of Brooklyn out my window!